There are some great Swamp Thing related books coming out in the next few months and to help keep track of the new releases I thought I’d share with you my pull list. Below is a reference sheet of the books. I’m going to try to keep the list updated and available on the site. Come to think of it, I may create a separate tab in the menu for the list. Ill keep you posted. 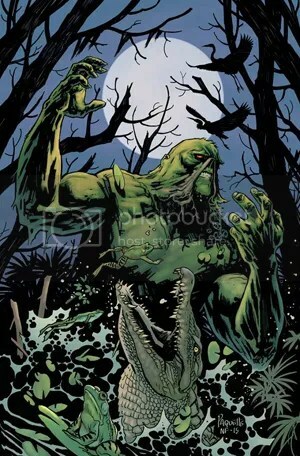 The much anticipated Swamp Thing series 6 by Len Wein and Kelley Jones will be released in January. 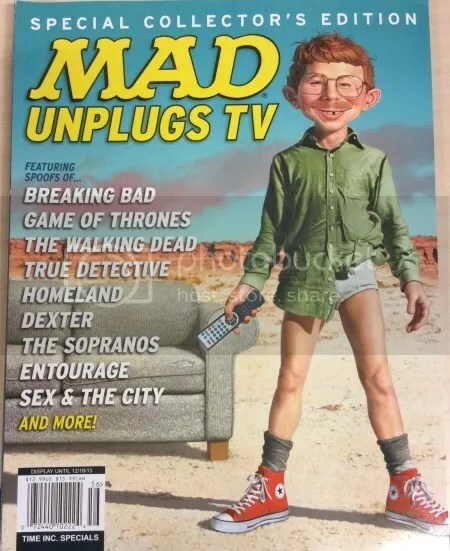 Leading up to the series 6 launch, there are some other appearances and mentions worth checking out as well. I’ll avoid getting into the details so that I don’t spoil anything. 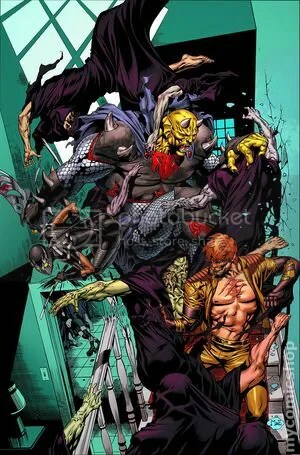 I’ve been enjoying the new Secret Six series quite a bit. It’s nice to see Swamp Thing in the mix with the Six. I can’t wait to see how long he sticks around. 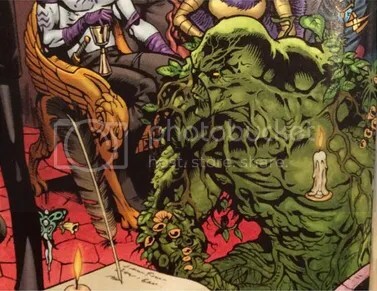 Tom Derenick does a great job on Swamp Thing, I really love his design. 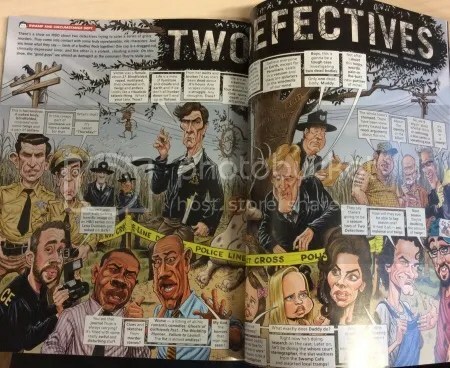 The book features a small Swamp Thing parody buried within a True Detective parody. 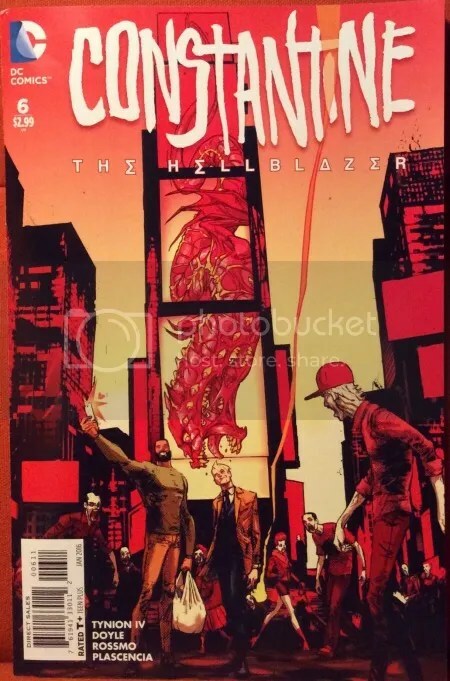 I’ve been reading the new Constantine series off and on but from what I’ve kept up with, I’ve enjoyed quite a bit. 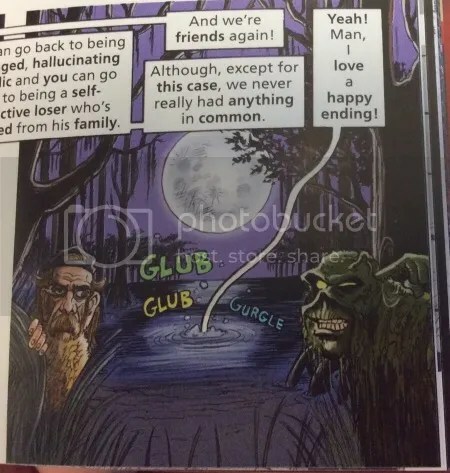 This new issue is pretty great and it features a Swampy reference at the end of the book, referring to next months issue. 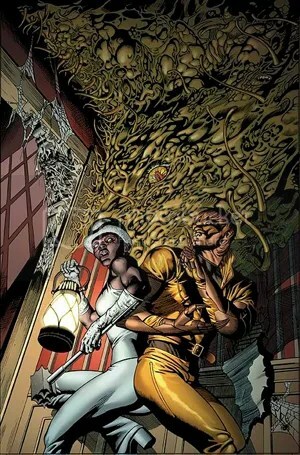 I’m still doing some research on this issue regarding a Swamp Thing reference or appearance but I included it anyway. 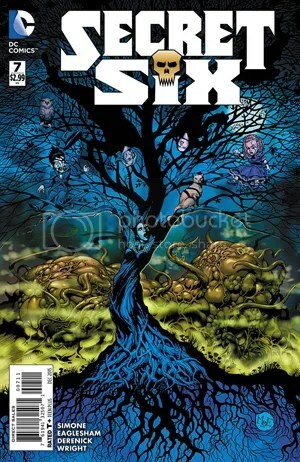 Since Swampy appears in Secret Six 7 and 9, I assume he is in issue 8. If anyone knows any further information, I’d love to hear it. Swamp Thing supposedly attacks Supergirl and Stargirl in this issue. I’m interested to see how this scenario plays out. 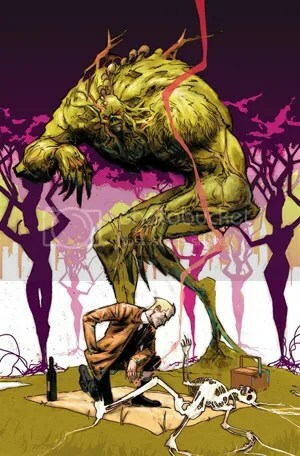 Swamp Thing and Constantine team-up once again, reluctantly. 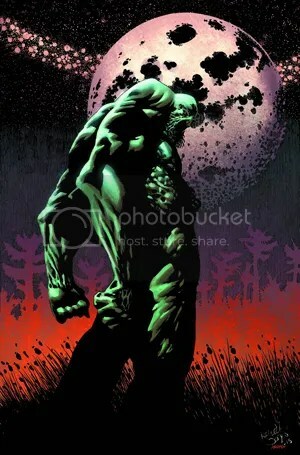 I find Riley Rossmo’s Swamp Thing design intriguing. 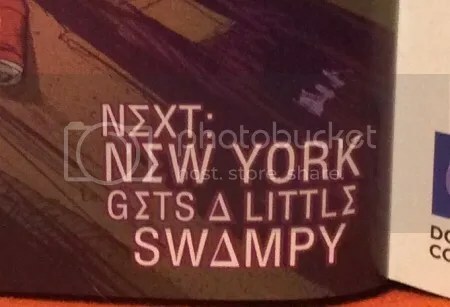 I’m excited to see what he does with Swampy in New York City. Jones and Wein are hard at work on Swampy again! The two worked on Swamp Thing’s Convergence series and Yanick Paquette, who created beautiful work for series 5, returns to illustrate variant covers. One thing we know for sure is that the artwork is going to be great! I’m surprised at how quickly they are re-launching a Swamp Thing series. After poor earnings and readership numbers, I’m wondering what DC has up their sleeve to bring readers back to the character. 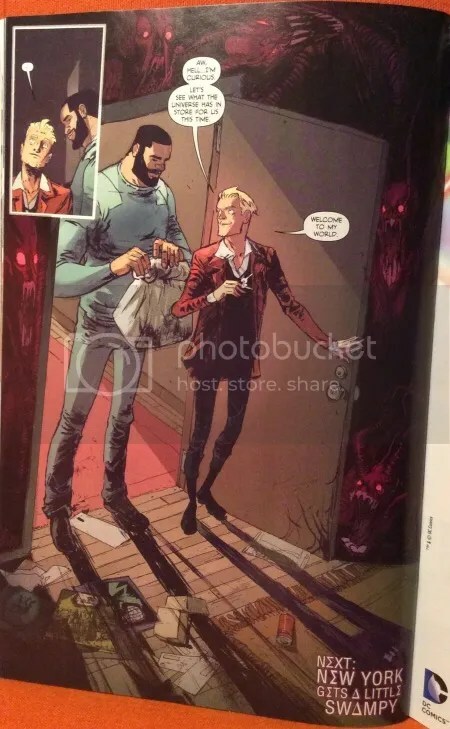 I certainly know plenty of Swamp Thing fans who will be waiting in line every Wednesday for new Swampy issues and I hope Wein and Jones can pull in even more readers than before. 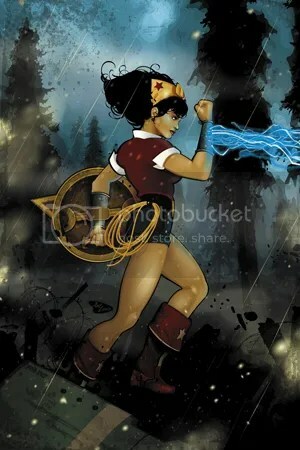 I think the departure from the new 52 story line will be a big help for older fans of the character.